Immediately eliminates bathroom, food, smoke, and other odors from the air leaving behind a fresh, clean scent. 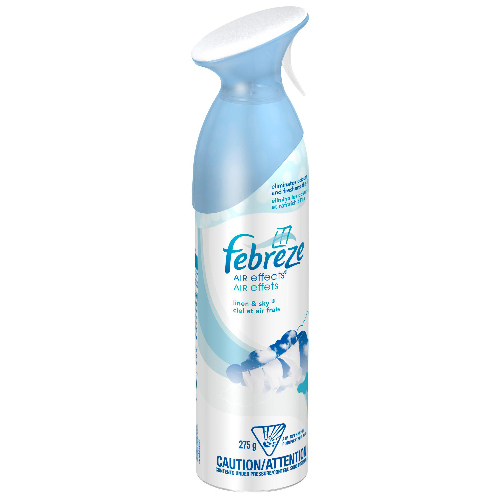 Air Effects contains Febreze. 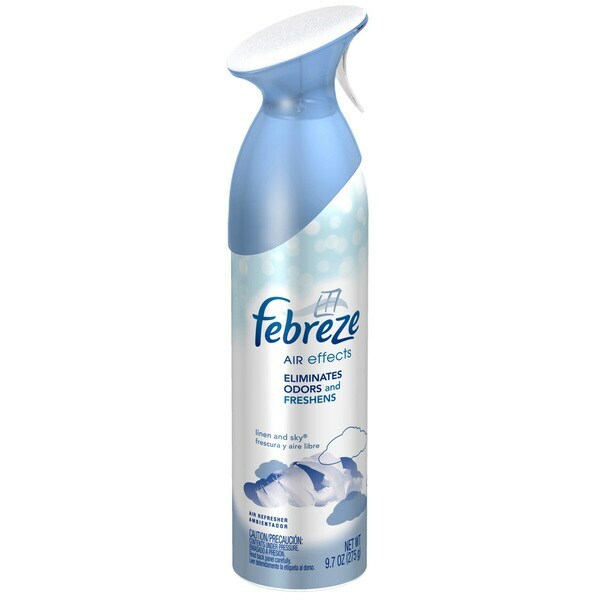 The Febreze destroys malodors in the air so all you smell is the fresh scent of the Febreze Air Effects. Air Effects Air Freshener, Linen/Sky, 9.7-oz.